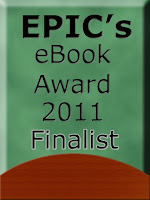 Cate Masters: Four-time EPIC finalist! I'm dancing on air! 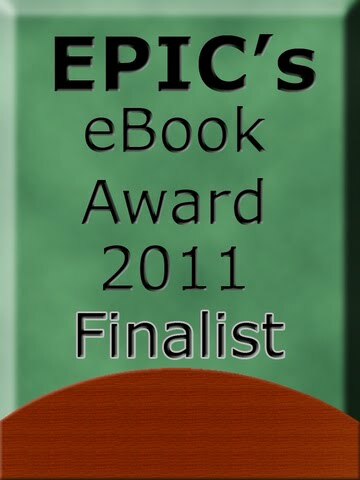 EPIC notified me that I'm a finalist in the 2011 competition - for these four stories! Right away, I made reservations for the conference in March. Can't miss that party! BLURB: When Madelyn sells her soul on UBuy, she’s not ready for the hell that’s unleashed. All she really wants is to make a success of her art. But the gorgeous stranger who buys her soul for $666 asks her to perform a few tasks. Tests of her true worth, Madelyn thinks, as each brings her – and her cat Brutus – into greater danger. And closer to the frightening shadowy figure stalking her. On All Hallows Eve, her final test will open the gates of hell. Or is it heaven? BLURB: Publicist Allison Morris plans her own life – what’s left of it – around the life of her boss Michelle McCarter, the ex-wife of a famous rock star. When Michelle needs emergency public relations patchwork in Hawaii pronto, Allison arranges a flight to the dream destination. At the airport, she meets Wes Hamilton, a six-foot-three sun-bleached blond whose blue eyes and dazzling smile rekindle her fizzled-out sizzle. A world-renowned surfer, Wes captivates her with his charm and wit, though his easy fame and on-the-edge lifestyle are the polar opposite of her own. When their jet loses its fuselage in mid-air, she takes advantage of what she thinks are her last minutes alive with Wes. The plane lands safely. 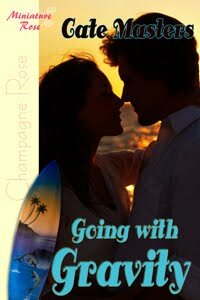 Wes takes care of her when her carefully constructed life begins to unravel. When Michelle accuses Allison of using Wes to gain fame for herself, Allison’s world falls apart in an explosive confrontation. Wes is waiting with open arms when she has nowhere else to go, but can Allison learn to stop planning and go with gravity? BLURB: Harrisburg News reporter Sydney Welles writes award-winning, attention-getting news stories. Her career’s on track, but she’d like a little more attention in her personal life. A year ago, she shared a great kiss with Philadelphia Daily News photographer Ben Taylor. Since then, nothing but a string of one-hit wonders. Suddenly, Ben’s back in her life – well, in her newsroom, anyway – but he acts as if he’s meeting her for the first time. Their story assignments throw them into uncomfortably close quarters, but Claudia, her editor, reminds Sydney she’s a consummate professional. She can handle it. Sydney’s not so certain when she and Ben go undercover to expose the mayor for shady dealings and he kisses her again. To keep their cover, he says. The mayor resigns amid shame, and Sydney’s the toast of the town. Two other reporters take an interest in more than her journalistic talents, but Sydney can’t help picturing herself back in Ben’s arms. Will she still want to once she learns Ben’s secret? BLURB: When Dana’s boyfriend drags her to Wilderness Outfitters on a Friday night, she wonders why so many people find The Great Outdoors so great. Until she meets Hank— six feet of tanned muscle, wrapped in a faded black T-shirt and jean shorts loose on his hips. Eyes like wildfire burning in a sun-kissed face. Grinning like a fox. After her boyfriend dumps her in the parking lot, humiliation becomes gratitude when Hank invites her to his favorite camping spot, and she seizes on the impulse to change her boring life. A web programmer, Dana’s outdoor experience had consisted of walks to and from her car. Alone on a mountaintop, as she struggles to set up camp, a five-foot snake doesn’t seem a welcome sight: until Hank comes to her rescue. He initiates her to the pleasures of hiking, campfires, and Harley rides down winding roads. Making love beneath a starry sky, Hank awakens a primal Wilderness Girl in Dana she never knew existed. Their weekend feels like a fantasy, which proves all too true on their return to civilization. As the daily grind eats into their time together, their romance begins to come untethered. Will her high-tech lifestyle clash with his low-tech one? Can she manage to recapture the passion of the wilderness in their city existence? Congratulations again! Four finals is amazing. Heck, one is amazing, four is mind-blowing! Wow! Four! I feel like I know someone very famous.